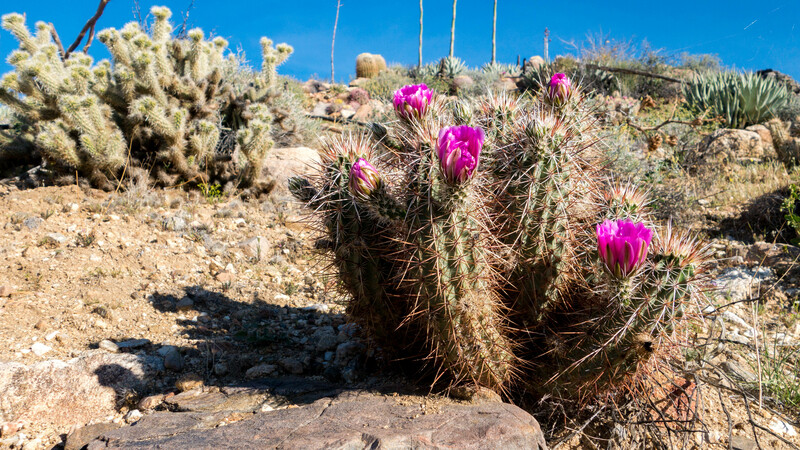 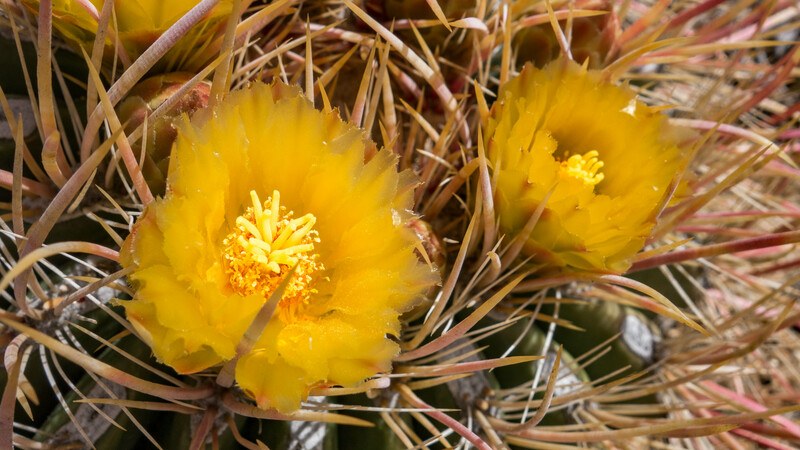 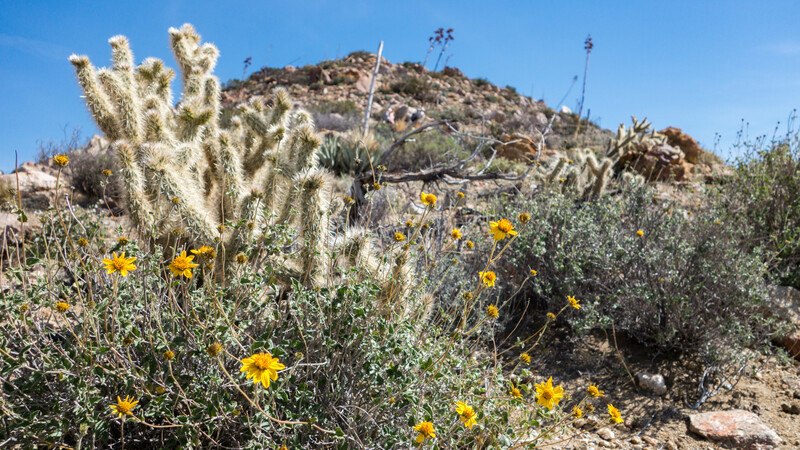 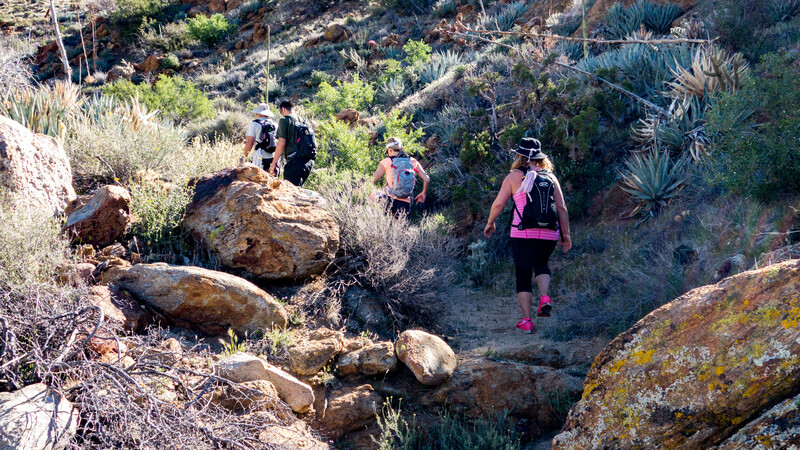 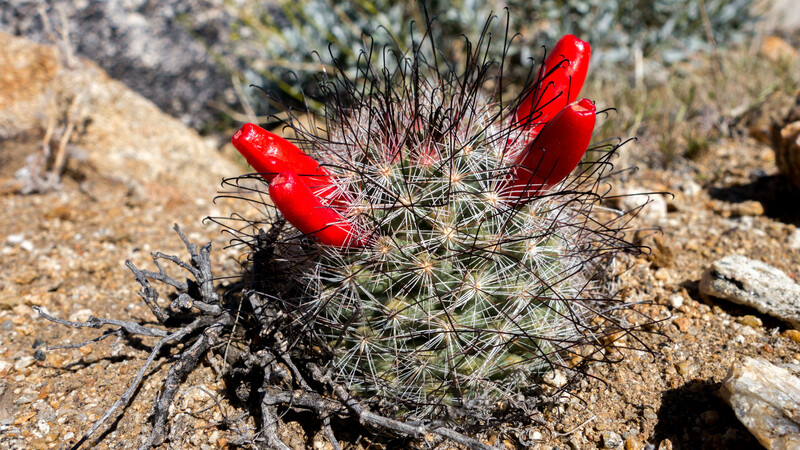 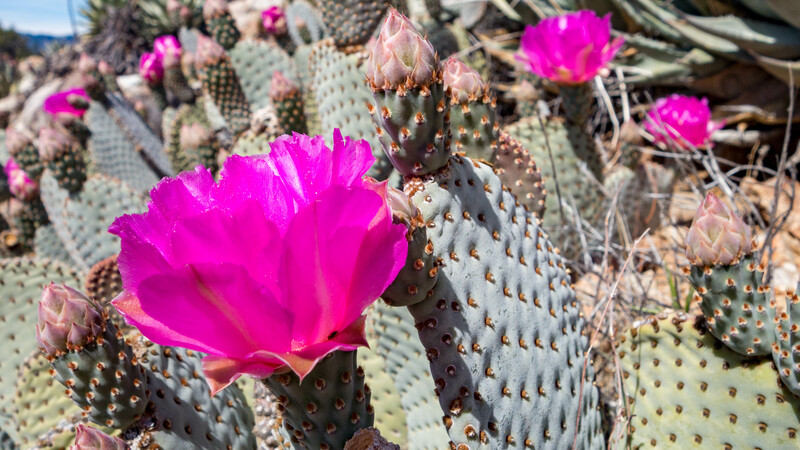 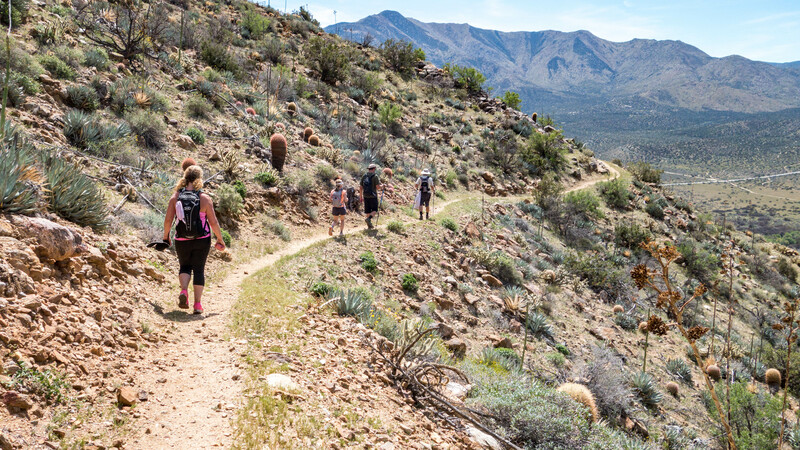 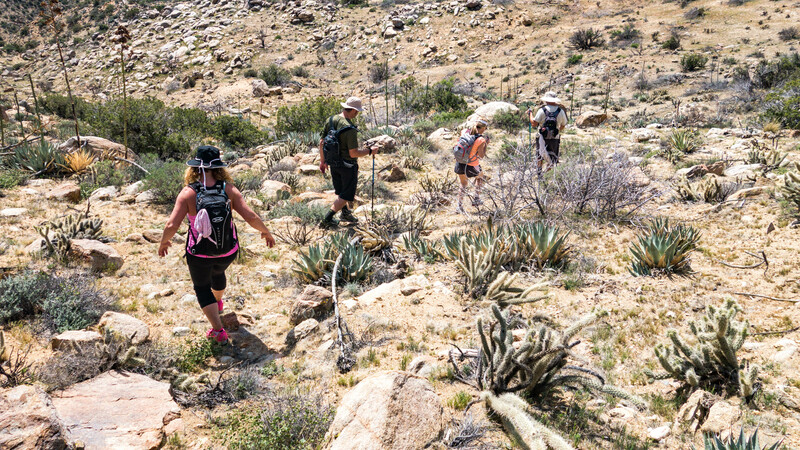 The hike from the trailhead takes you along a cactus-strewn section of the PCT. 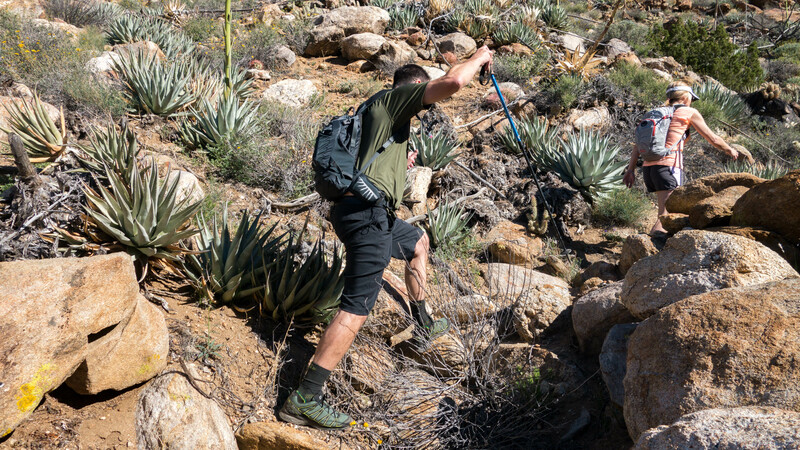 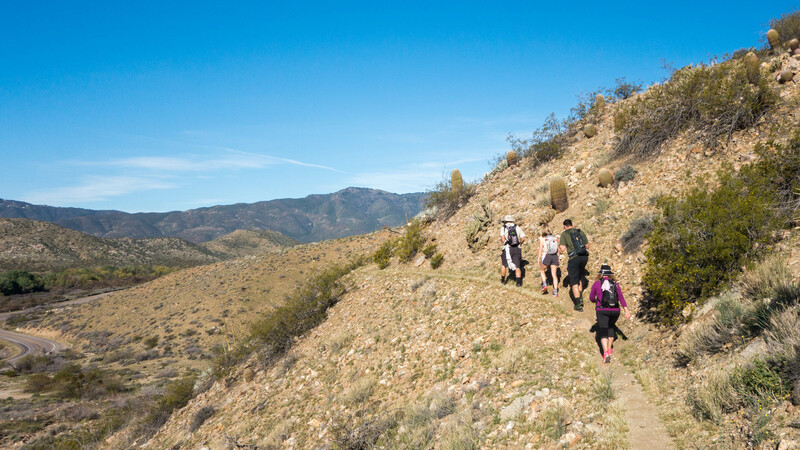 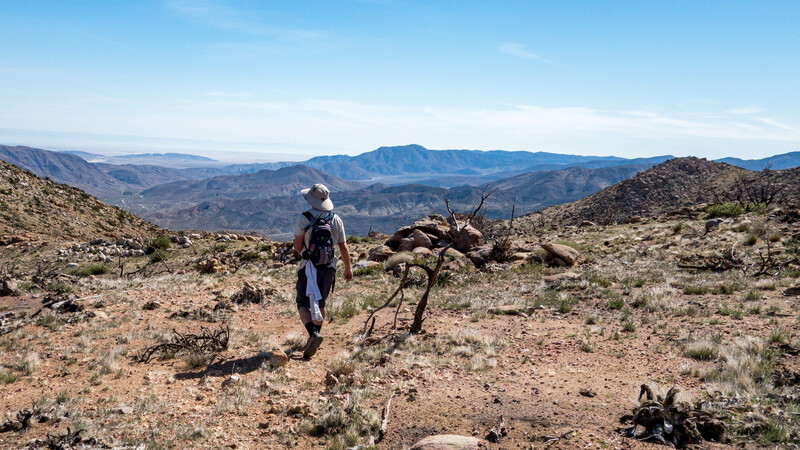 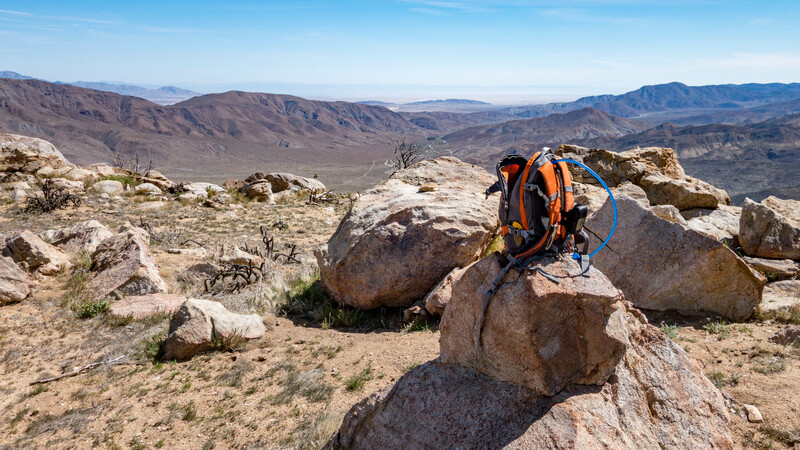 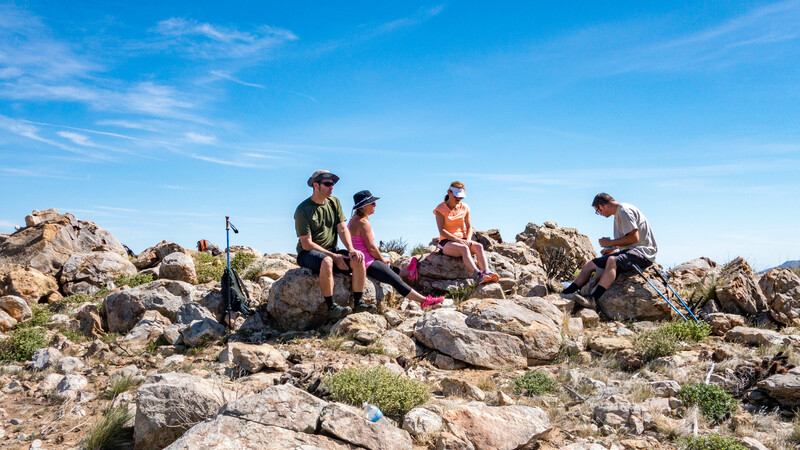 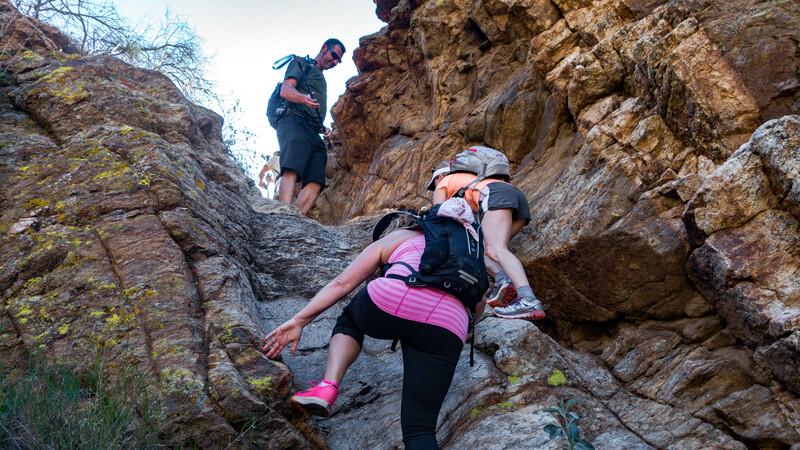 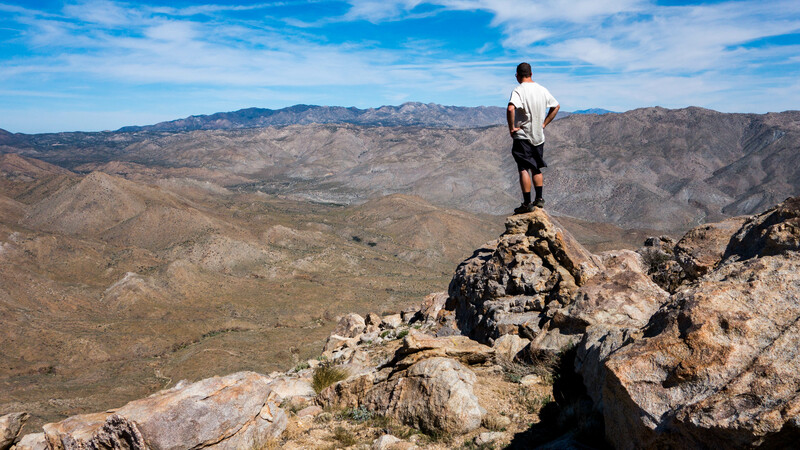 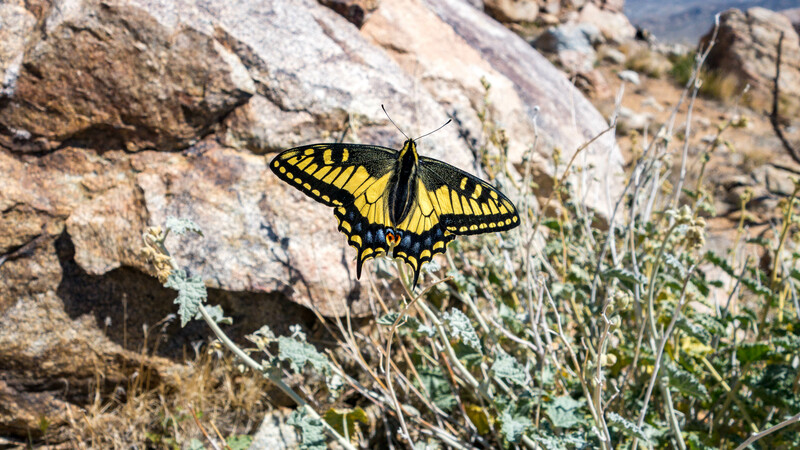 Making the summit will require a little route-finding skill and a lot of off trail travel, including some light class 3 and 4 rock scrambling and bushwhacking through fields of cactus and thorny things. 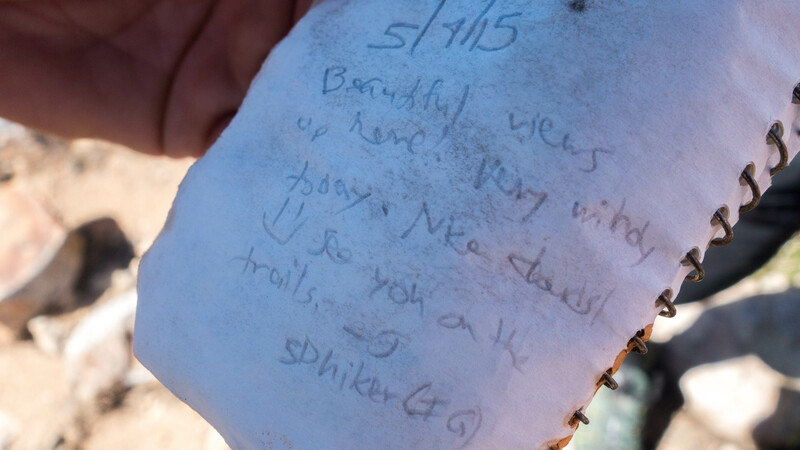 Notable sights from the summit include views of Mt. 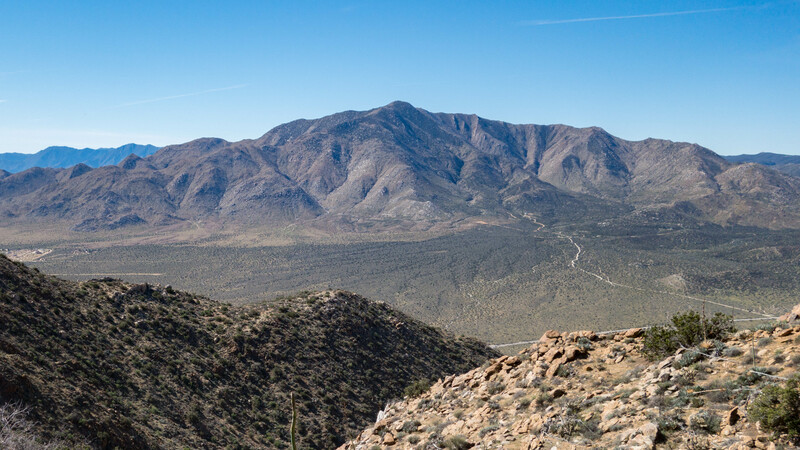 San Jacinto, the Superstition Mountains, Granite Peak, and Cuyamaca Peak. 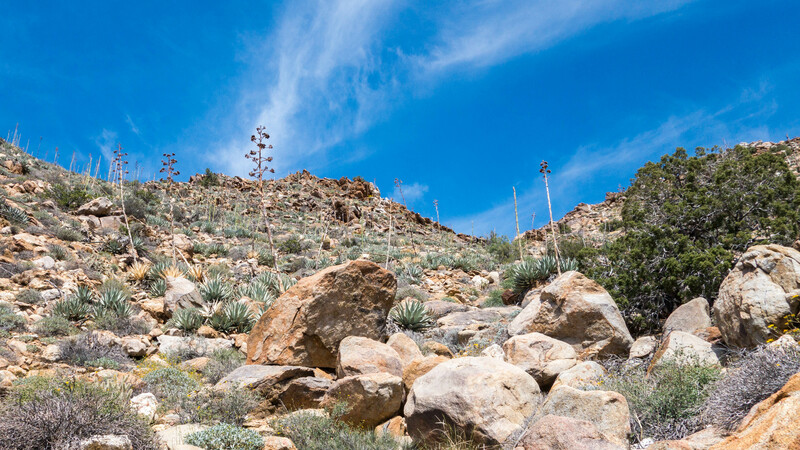 We took an alternate route to the one described in Jerry Schad’s Afoot & Afield in San Diego County. 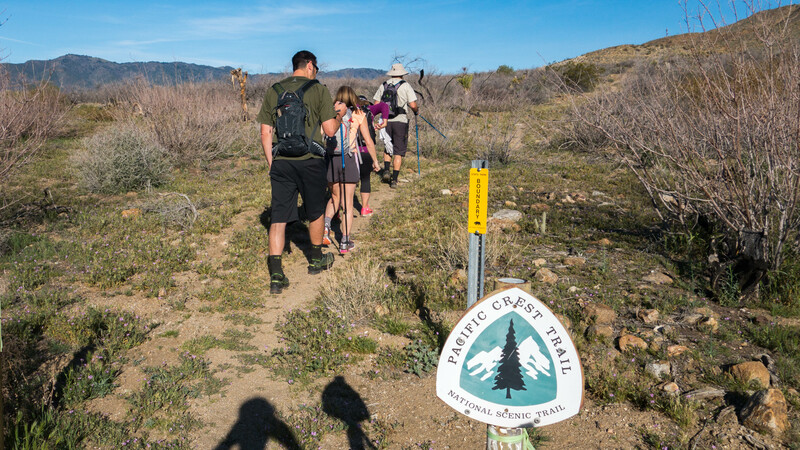 Parking for the trailhead on our hike can be found on the northwest corner of HWY 78 and San Felipe Road. 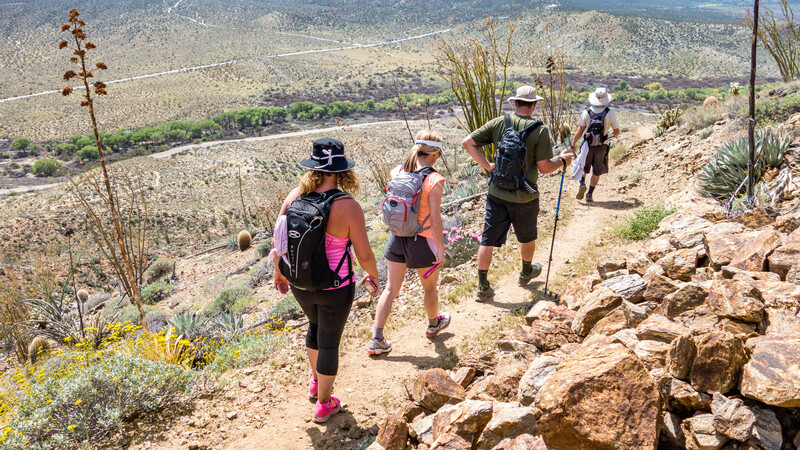 Grapevine Mountain Hike trail info.